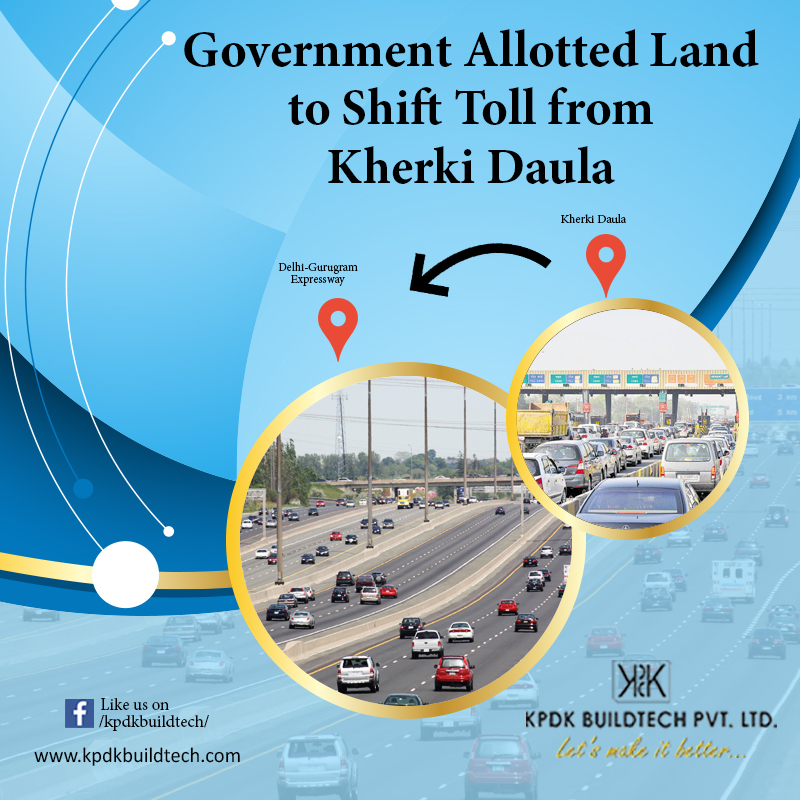 Minister of the Union Road Transport and Highways, Mr. Nitin Gadkari announced that the Kherki Daula toll would now be shifted from its present location on the Delhi-Gurugram Expressway. It has been planned to shift this toll eight kilometers towards Manesar beyond the NSG complex and a large plot in Sehrawan has been identified for its relocation. Further continuing the progress in this project the Haryana State PWD minister Rao Narbir Singh on Tuesday announced that it had transferred 65 acres of land in Sehrawan to the NHAI (National Highways Authority of India) to move this toll plaza there. He also assured a quick removal of the toll plaza from Kherki Daula. The new toll plaza will be around 1,500 meters on the Jaipur side. For the meantime, government has decided to improve efficiency at the existing toll plaza. “Since the plaza cannot be relocated overnight, they have planned to improve operations at Kherki Dhaula toll over the next few day. The government has allocated more mobile machines for toll collection and four extra lanes on either side will be functional. While travelling from Manesar to Gurugram the ‘wrong-side’ turn at Kherki Dhaula, will also be shut for the time being. The NHAI, has asked experts to develop plans for setting up a new toll plaza at the new site. Officials said that they will work on two to three different options and the work would be completed in 3-4 months.The new toll plaza would be equipped with the latest technology and ensure the least possible waiting time for vehicles. The shift, which has been in the planning phase for a while is now all set to move into the development phase. This shift will facilitate thousands of residents of new sectors along the SPR and Dwarka expressway and thousands more travelling to and from IMT Manesar. The industry hub, will move outside the toll ambit and would be a great boost to Gurugram-Manesar industrial and residential complex. A good Real Estate agent is one who is able to guide you to a successful sale or purchase of property and give you a brief about the upcoming and updated real estate news in Guragaon / Gurugram & also includes providing effective suggestions for offers & counter offers, strategies for competitive markets & with any possibilities that you need in order to make it to the closing table. You may contact one of the top Real Estate Development company Delhi NCR.